Integrity Windows & Doors serves the Greater Cleveland area from our one location in Lakewood, Ohio. We are a family owned and operated business. We offer windows,doors and siding for every budget and every location in your home or business. All of our windows and doors are manufactured right here in Ohio. Since we are a locally owned business we are committed to buying locally whenever possible. Integrity Windows realizes local businesses are the lifeblood of our community. When we keep our dollars in the local economy, every purchase contributes toward our schools, businesses, our culture and the well-being of our friends, families and neighbors. For every $100 spent at a locally owned business, $45 stays in our local economy. Whether it's windows, doors or siding you get the professional installation team at Integrity Windows. Combined they have over 100 years of experience. We don't hire part time and pay under the table. 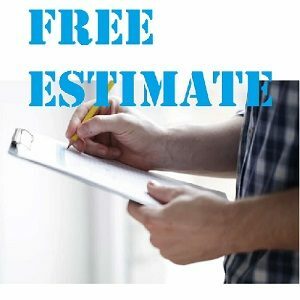 Our Installation Masters are local, trained and experienced to install your windows, doors and siding professionally. Our team is what makes Integrity Windows who we are. We're not a faceless company spending millions on advertising or a big box store partnering you with the lowest bidder, we're a team of hard-working locals that care about your home and our community and you get our personal attention on every job! We named this window company Integrity Windows because we believe in doing things with integrity. Unfortunately that's not always the industry standard in our business. Integrity means no fake sales, no cheaply made products and absolutely no high-pressure sales tactics. Click on the logos below to view the websites of some most popular windows, doors & siding manufacturing companies we sell and install.